Played college basketball at Florida International (1997-2001). During the 1998, 1999, 2000 and 2001 Summer played with Santurce (Puerto Rican League). Signed for the 2001-02 season by Toronto Raptors. In January'02 moved to Spain, signed by Baskonia Vitoria. On March'02, signed by Denver Nuggets. Signed by Detroit Pistons, played there till February'06. Signed by Orlando Magic, played there till the 2007-08 championship. Signed for the 2009-10 season by Miami Heat. Signed for the remainder of the season by Boston Celtics. Moved to Turkey in December'11 signed by Besiktas JK Istanbul. Signed in December'12 by Galatasaray Istanbul. In May'15, signed by Cangrejeros de Santurce. Played the 2012 Turkish All Star Game. Named the 2008-09 Israeli Finals MVP. Led the 2008-09 Israeli League in assists (5.8 apg.). 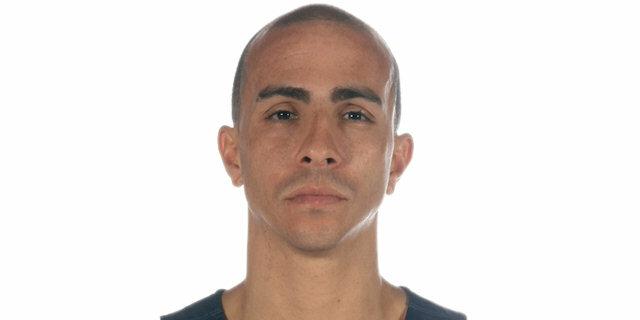 Member of the Puerto Rico National Team. Won the gold medal at the 2003 and 2010 Centrobasket. Named the 2003 Centrobasket MVP. Won the bronze medal at the 2003 Panamerican Games. Won the bronze medal at the 2006 Centrobasket. Won the bronze medal at the 2007 Tournament of Americas. Played at the 2002, 2006, 2010 and 2014 World Championships. Won the 1998, 2000 and 2001 Puerto Rican League with Santurce.